Prof. Abrantes specializes in history of art at Universidad Complutense de Madrid. He also teaches courses in Spanish Art and Spanish Painting at the Museo del Prado in various U.S. university programs in Madrid. Since 1990 he has taught modern Spanish art at Syracuse Madrid. Prof. Abrantes has published articles in professional magazines and co-authored the book Arte español para extranjeros, which is widely used by foreign students in Spain. Prof. Aliaga has extensive experience teaching Spanish as a foreign language in a wide variety of institutions. 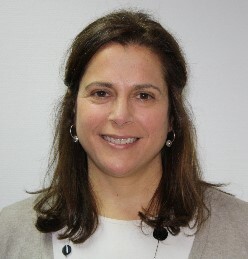 She has taught several Spanish levels at the Universidad Complutense de Madrid and Universidad Alfonso X. Prof. Aliaga has also worked as a Spanish Diploma (LETRA) examiner at Universidad Antonio de Nebrija in Madrid and has worked in the Easy Reading research group at Universidad Autónoma de Madrid. She has taught for Syracuse Madrid since 2015. Prof. Byrne is a qualified Certified Public Accountant with a graduate degree in international accounting and auditing and a degree in business, economics, and social sciences. He has over twenty years experience working in the business world and seven years working as a professor at several U.S. universities in Madrid. Prof. Byrne teaches finance and accounting courses at Syracuse Madrid. Prof. Benito Cadenas is professor of micro and macroeconomics at Villanueva University and at Schiller International University. Before that he was a companies adviser at Bankinter and at the Spanish office for taxation. Amelia holds a degree in marine sciences from the University of the Canary Islands and is a professional PADI instructor with extensive diving experience in Micronesia, Madagascar, Galapagos Islands, Andaman Sea, Maldives and the Red Sea. She has participated in the creation of underwater documentaries, such “The Wreck of the Syrian”. Amelia is presently the environmental coordinator at the Educational Center of Cabo de Palos, in the Region of Murcia. She coordinates environmental education campaigns for schools and universities as well as other activities to promote active and nature tourism in the Region of Murcia. Prof. Carmona taught Spanish language, literature, and cinema in the U.S. at USC, Smith College, and LSU before returning to Spain. Currently, he teaches Spanish language, Spanish literature, and film at USC and Syracuse Madrid. Prof. Cassain has been research fellow at the Universidad Complutense de Madrid, the Sociological Research Center, and the Women’s Institute in Spain. Prof. Cassain received her M.A. in empirical social research and data analysis from the Sociological Research Center. 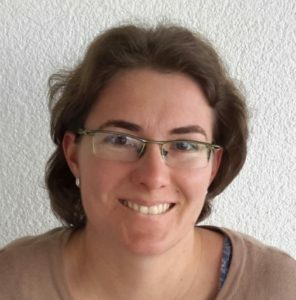 Her Ph.D. in sociology and anthropology at the Universidad Complutense de Madrid focuses on migration studies from a transnational and intersectional perspective and, specifically, in return migration from Spain to Argentina. Her research interests focus on international migration and contemporary mobility, migratory trajectories and life course, gender and women studies. Prof. Houghton has worked throughout his professional career in IT multinationals such as Ericsson, Alcatel, Wang, Informix, Olivetti, Toshiba, NCR, and HP where he was principally in charge of Sales & Marketing. Prof. Houghton has worked as an adjunct professor at Syracuse Madrid, Universidad Complutense de Madrid’s marketing department in the College of Economics and Enterprises, and Universidad Carlos III de Madrid’s economics department. He has also served as chair of the Universidad Complutense de Madrid’s summer courses in marketing & sales management since 2008. Prof. Iso specializes in 19th and 20th century Spanish and Latin American literature. He also has taught different courses in contemporary Hispanic literatures at U.S study abroad programs in Madrid. His research interests focus on the intersection between urban studies and literature, biopolitics, the formation of dystopias in literature, and the representation of dissident sexualities from political activism. Prof. Jepure has spent over 15 years working on archaeological research focused on assimilation and acculturation in Spain’s late antiquity and Visigothic period in several Spanish universities (UPV–Vitoria, UAH–Alcalá de Henares, UAM–Madrid) and for the Museo de Segovia. His research interests and experience are centered on paleoanthropology, archaeology, early medieval studies and subaquatic archaeology. He has participated in several excavations in Spain, Germany, and Croatia. Prof. Jepure is currently involved in research projects in the province of Segovia, in central Spain, and in Biscay, in northern Spain. Dr. Kuehl specializes in Spanish literature and film, and has taught at the university level for over 15 years. He has taught a wide range of Spanish literature and cinema courses at Syracuse Madrid since 2001 and has participated as a lecturer and director of several Signature Seminars at Syracuse Madrid such as Azahar, Mare Nostrum, and Eurovision. In 2011, he was named program director. 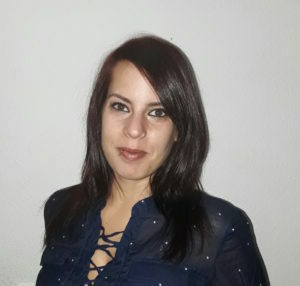 Leticia has been teaching courses titled Health Psychology, Wellbeing, and Techniques of Intervention at IE University and Universidad Complutense de Madrid. She received her Masters degree in clinical and health psychology (2014) and is currently working on a Ph.D. in clinical psychology. She is interested in new approaches in psychopathology and assessment (such as taxometrical approaches or network analysis), cognitive biases, dimensions of self-esteem, and well-being in psychotic patients. She is also interested in applying experimental methodologies and new technologies (eg, IAT, ESM, APPs …) to the study of psychopathology and the promotion of well-being. Leticia also works as clinical practitioner of third generation therapies (e.g., acceptance and commitment therapies, mindfulness, compassion-focused therapy and dialectical behavioral therapy) and positive psychotherapy. Prof. Medina completed his B.A. in the United States and his postgraduate work in philosophy in France and Germany. His Ph.D., in cultural history, is from the Universidad Complutense de Madrid. For 25 years he has taught history of religions (Christianity; Judaism; Islam), of civilizations (Ancient Rome; the Byzantine and Ottoman empires; Islamic Spain) and cultures (the Italian renaissance), contextualized in their manifestations as intellectual, artistic, and socio-cultural products for Syracuse Madrid, Spain; Istanbul, Turkey; and Rome, Italy. Social anthropologist. Specialty in gender issues, women’s studies, and sexual diversity. Research developed on gender relations in urban spaces, sexuality, and homophobic bullying at schools. Member of the education department of the Federation of Spanish LGBT Associations. At Syracuse Madrid, she teaches Sexuality in Spain in both the spring and fall semesters, as well as in the summer session. Teaching experience: Tutor of postgraduate seminars, Catholic University of Louvain (Louvain-la-Neuve), Belgium. Collaborating professor, Institute of Social Research, National Autonomous University of Mexico. Research Background: Prof. Oses’ areas of specialization are sociology of culture and religion, social theory, and qualitative research methods. His doctoral research focuses on the afterlife beliefs and representations of the French-speaking Belgium youth, and its results have been published in Social Compass. International Review of Sociology of Religion. Prof. Oses has participated in comparative research on religious culture in Spain and Europe as a member of the European Group for the Interdisciplinary Study of Religious Change (GERICR). More recently, he has carried out postdoctoral research about cultural and religious globalization in Mexico. Prof. Sánchez Padilla specializes in the history of transatlantic relations in the nineteenth and twentieth centuries, and he received his Ph.D. from the Universidad Complutense de Madrid in 2014. His first book was based on his dissertation which reinterprets U.S.-Spain relations in the late nineteenth century, and his papers have appeared in several top peer-reviewed journals. Prof. Sánchez Padilla’s current research explores the connections between intellectual property protection and American foreign relations during the interwar period and the Cold War. Since 1987, Maria del Mar Pastor has taught Spanish language at different levels for undergraduate students at Syracuse Madrid. Since 1989, she has also taught Spanish language and literature to interpreters of the United Nations and the European Commission. She graduated in Hispanic philology at Universidad Complutense de Madrid. Prof. Pérez has been teaching literature, translation, and language culture at Syracuse Madrid since 2001. She has also taught at Boston University and Tufts University, and she is currently teaching at the Boston University internship program in Madrid. Prof. Pérez has taught Spanish to students of different levels in various university programs in Madrid. She is also a creator of didactic materials on Spanish as a Foreign Language and is an examiner accredited by the Instituto Cervantes of the Spanish diploma DELE. He has taught Spanish in Alcalingua – Universidad de Alcalá and, currently, in Syracuse Madrid and in Luis Vives Escuela de Español. Prof. Pérez-Bedmar holds a B.Sc and M.Sc in oceanography and coastal zone management and is at present pursuing her doctorate in ecology. She lived in the United States for more than 10 years working in and collaborating with several environmental agencies dedicated to the protection of coastal areas. Prof. Pérez-Bedmar has taught oceanography and environmental science in several U.S. university programs in Spain for several years. She conducts field research and field trips with students often and has collaborated with several research projects in the environmental field. In addition, Prof. Pérez-Bedmar is a certified diver and sailing instructor and is an avid nature explorer. Prof. Postigo specializes in European and Spanish and Latin American history. She has taught at Universidad Autónoma de Madrid (UAM) for 25 years at the undergraduate, graduate, and post-graduate levels. Prof. Postigo has taught at different European universities at the post-graduate level (Paris, Rouen, Bordeaux, Naples, Pisa, European Institute – Florence –, Évora, Porto, Zaragoza, Cantabria). She has also taught in Argentina. She has published two books and over 60 articles in Spanish and European magazines and has participated in 20 international and 10 national conferences. Prof. Postigo has been the director of eight research projects (I+D), five of which were financed by the European Community and three of which were financed by the Spanish Ministry of Education. Finally, Prof. Postigo has been the director of six teaching innovation projects. Currently, she is a full professor of history at UAM, the coordinator of the international doctorate of history of women and gender in Europe (Universities of Paris, Rouen, Naples, Edinburgh, Vienna and UAM). She has been director of seven doctoral dissertations and 15 masters theses. Prof. Rodríguez del Valle earned her M.S. and Ph.D. in immunoparasitology. She completed her post-doctoral research in the fields of toxicology and pharmacology. She has extensive experience teaching courses in microbiology, cell biology, and microbiology at both the undergraduate and graduate levels. Prof. Rodríguez del Valle has worked in U.S. universities in Spain and in Mexico. Her interests involve the study of host-parasite relationships, how microbes evade the immune system, and the development of new drugs for microbial control. Since 2002, Prof. Sánchez Millas has been teaching history and political science courses at Syracuse Madrid, including numerous field trips to interview politicians involved in the peace process of the Basque country and its relation to the Spanish State. 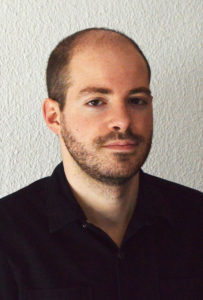 Prof. Sánchez Millas’ Ph.D. dissertation analyzed the period of absolute majorities of the socialist party, dealing specifically with the teamwork built for the Spanish politics towards the European integration process. Her research projects include identifying, classifying, and storing the personal files of a main character in the Spanish transition to democracy, Francisco Fernández Ordóñez, who was an outstanding promoter of opening up the country to the rest of the world after forty years of dictatorship. Prof. Sánchez Millas continues to research and write about people involved in peace, transitions to democracy, and the conciliation politics behind it. Kirk Lee Tennant is a multidisciplinary teacher. With degrees in accounting, business, engineering management, theology/ethics, and English literature, he combines these disciplines to provide courses in multiple business and economic subjects to students at Syracuse Madrid. The courses taught by Professor Tennant combine a historical perspective of the course subject but stress the application of the course material in today’s ever-shrinking, changing world. Also, since the courses are taught in Madrid, a cross-cultural view of the course content is always taken with student exposure to Spanish and European contemporary issues. He teaches at several U.S. universities. Prof. Terrazo holds a degree in psychology from theUniversidad Complutense de Madrid and obtained her DEA (research proficiency) in a doctoral program which studied human behavior with an emphasis in biological-physiological processes. She has taught Physiological Psychology and Psychobiology. She currently teaches data analysis applied to clinical psychology at the Universidad Pontificia Comillas. She has worked as a methodologist and data analyst for different research projects on medical and psychological sciences. Her research interests are in the study of socioemotional development in children and adolescents, and the effects that social relationships and culture have on psychological health. As a data analyst, she is interested in longitudinal data analysis, social network analysis, and the development of new psychometric tools to measure emotional development in children. Máster. Methodology applied to the behavioral and health Sciences – Interuniversity program: Universidad Complutense de Madrid, Universidad Autónoma de Madrid and UNED. Licenciatura. Psychology – Universidad Complutense de Madrid, Spain. Prof. Torrano has a wide experience in teaching English and Spanish as second languages. She has been teaching Spanish for foreigners for almost ten years, abroad (Lisbon, France) and in Spain, in different universities (CEU San Pablo, Syracuse Madrid) and language schools (Tandem, Alce lenguas). Every summer she teaches language and culture at the Spanish courses of Universidad Internacional Menéndez Pelayo in Santander. She is also a freelance translator (English, French and Spanish) and a DELE examiner. Máster. Spanish as a Second Language – Universidad Internacional Menéndez Pelayo, Spain. Bachelor’s Degree. English philology – Universidad Autónoma de Madrid, Spain. Óscar Yáñez is passionate about sports as a social catalyst and change maker. With over 20 years of experience in sports institutions (sports clubs, associations, and federations), sponsoring companies, consulting firms and marketing agencies, Prof. Yáñez focuses on Sports digital marketing strategies. He has been a lecturer at many European universities such as ISDE, IESE Business School, European School of Economics, IE University and University of Navarra. Prof. Yáñez is currently co-founder & CMO at tripandmed.com a pioneering digital platform specialized in Health Tourism Industry. Prof. Yrizar has taught at the undergraduate university level since 2003, first as a TA at Universidad Autónoma de Madrid, and later as a lecturer at Syracuse University Madrid. At Syracuse Madrid, she has taught several history and political science courses, including the Imperium and Azahar Signature Seminars. As of 2008, she collaborates with a graduate program at Universidad Autónoma de Madrid. 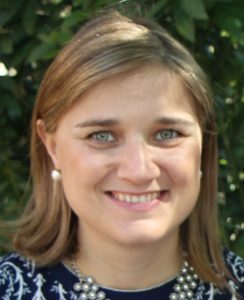 In 2005, Prof. Yrizar became the assistant to the director for academic affairs, and in 2011 she was named assistant director of Syracuse Madrid program. Grado – Four-year undergraduate degree.